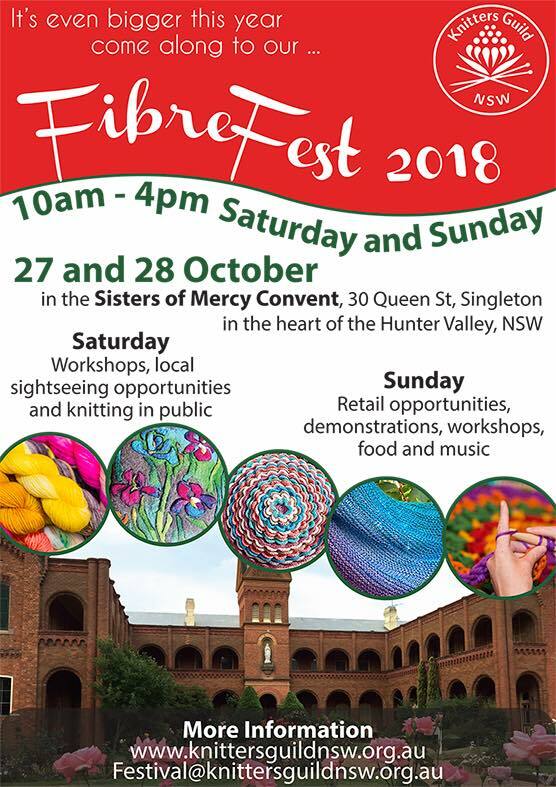 The Knitters’ Guild NSW are holding a weekend of everything fibre, following on from the outstanding successes of Fibrefest at Sacred Spaces in 2016 and 2017. A variety of workshops to satisfy every fibre lover! Retail vendors, demonstrations, food, music, and a place to sit, socialise and practice your craft. Entry is free! Shop and browse to your heart’s content! For photos of previous Fibrefests, see Knitters’ Guild NSW. The Singleton Visitor Information & Enterprise Centre can organise accommodation packages for anyone who wishes to make a weekend of it and soak in the sights of everything the Hunter Valley has to offer – from wine to chocolates and everything in between.